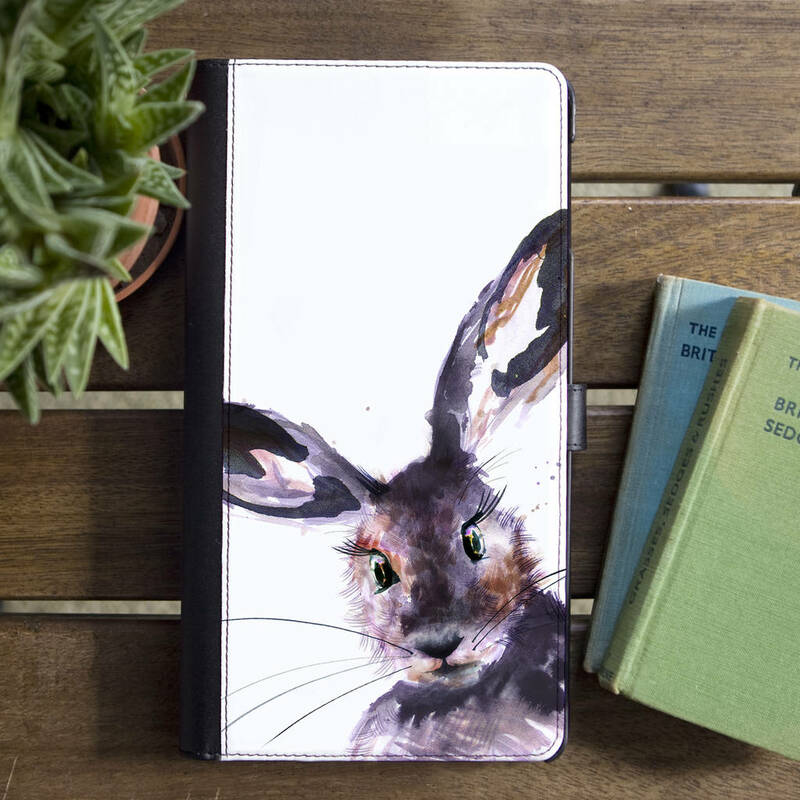 A stunning faux leather flip case with card slots, proudly made in the UK to the highest standard. 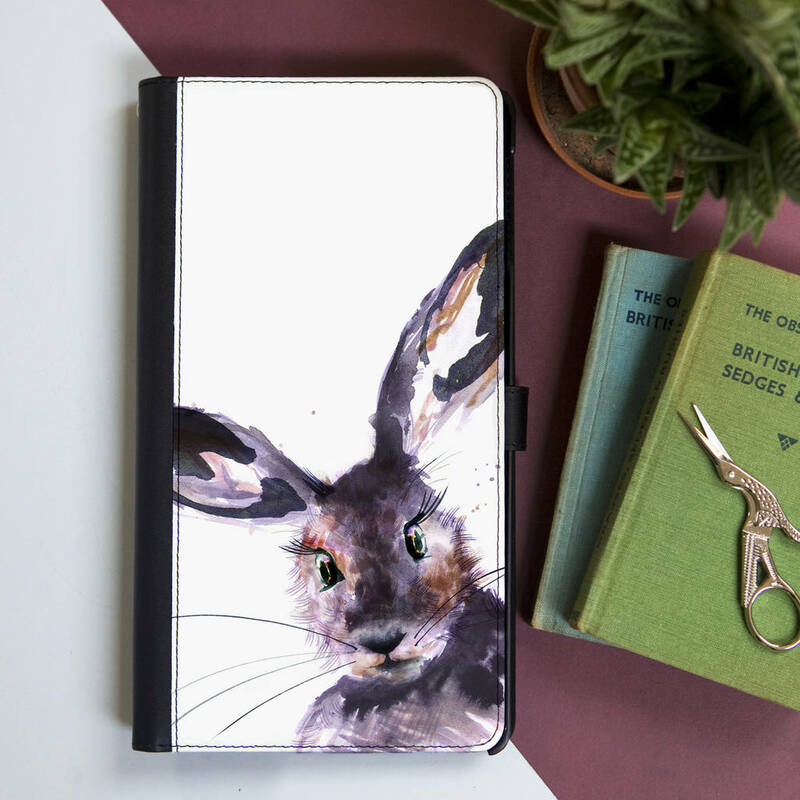 Featuring my hand drawn Inky Hare illustration, this flip case will keep your phone safe and secure with style. 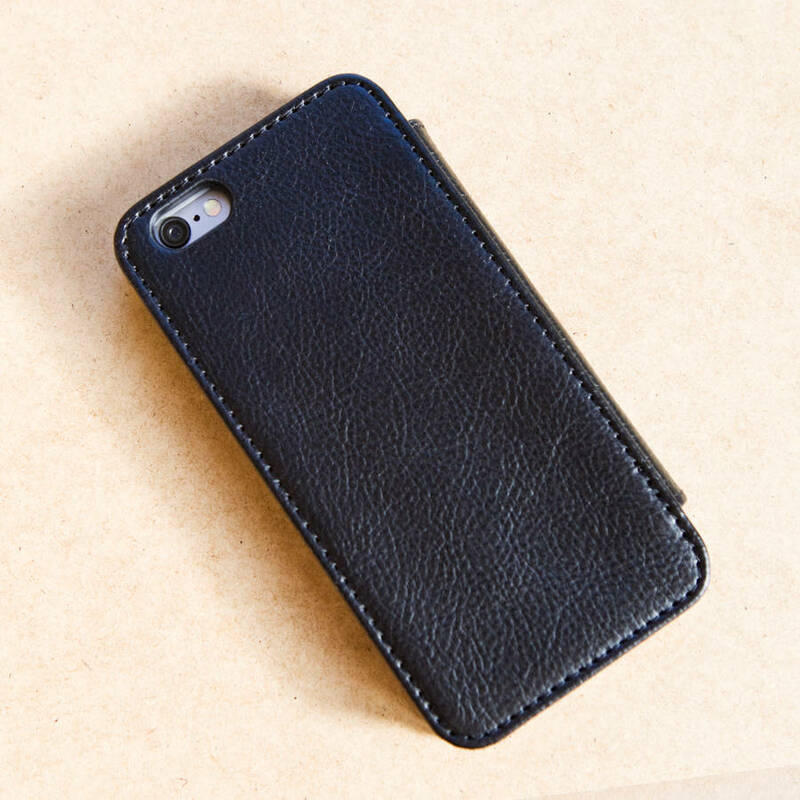 Made in faux leather with a soft touch rigid clip-in cradle inside to secure your handset. 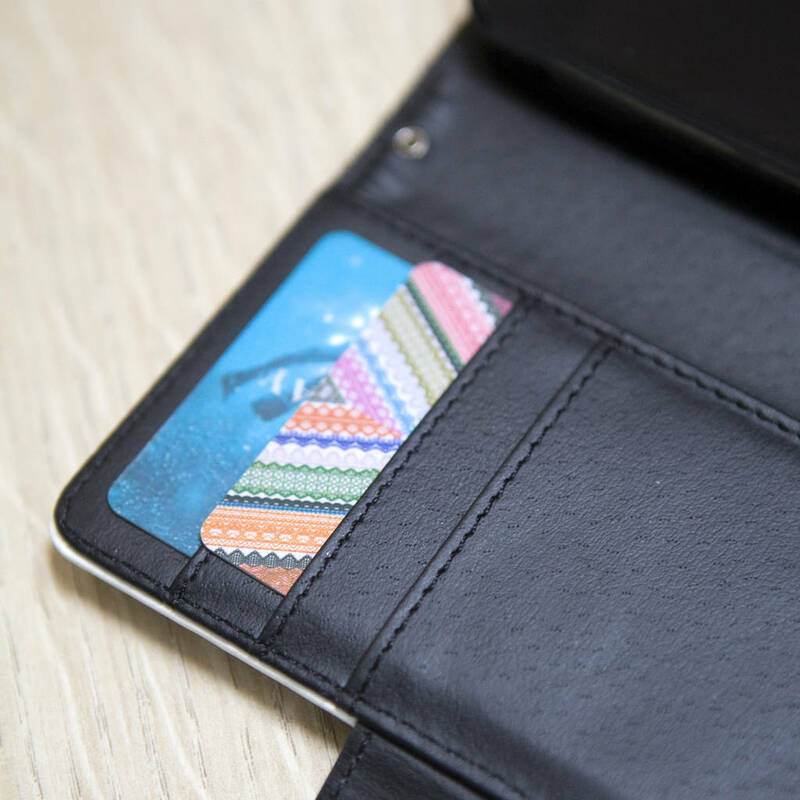 The flip style opening and soft lining give added protection against bumps and scrapes. 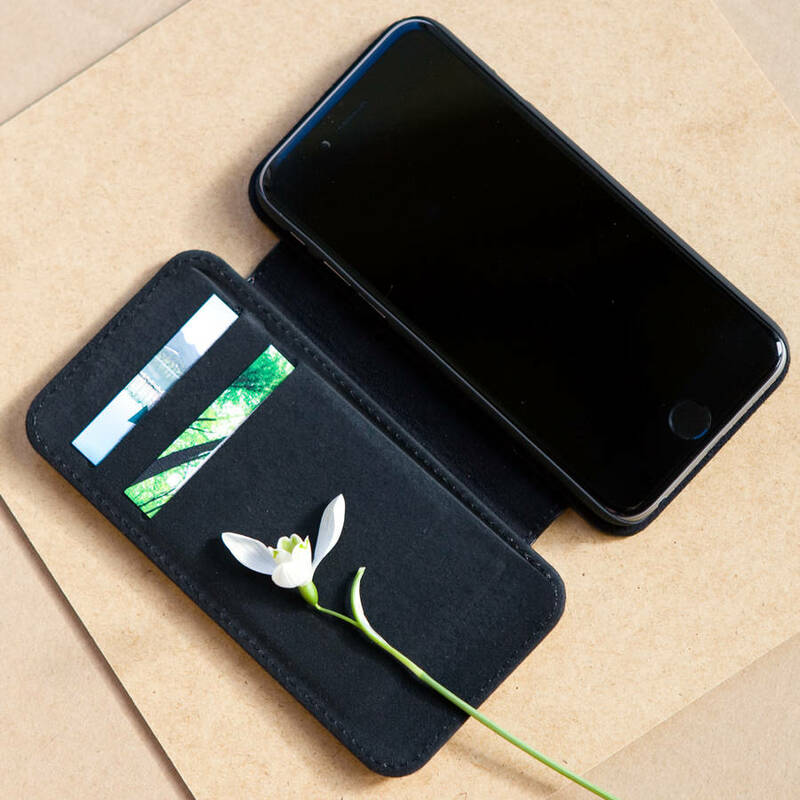 Available for different handsets, including the iPhone 5/5s, iPhone 5c, iPhone 6 and 6 Plus, Galaxy S4, S5, and S6. It's worth noting that appearance may vary slightly depending on handset. If the model you are looking for isn't listed here, please get in touch and I can investigate if it is possible for you. Faux leather and plastic. This product should be wiped clean only with a damp cloth and avoid contact with harsh chemicals such as bleach. 14cm x 7cm x 1.5cm, depending on model ordered.